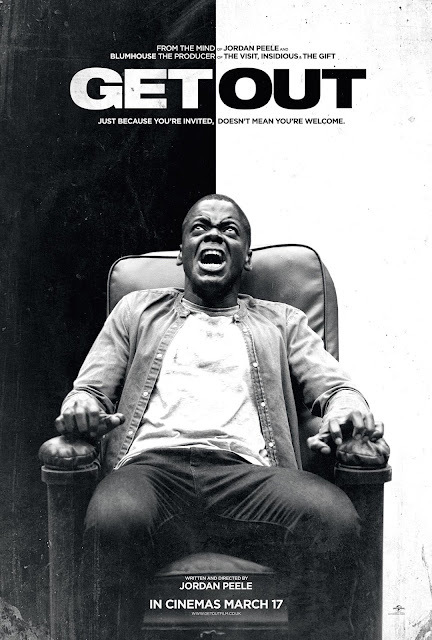 On "Take 2" I think just a tiny bit of steam was taken out of Get Out (2017), Jordan Peele's race-centric mashup of Rosemary's Baby (1968) & The Stepford Wives (1975) (with hints of Kubrick, Cronenberg and Carpenter). Minor quibbles about backstory, character development and direction aside, it's still one of the best horror films in some time and one of the best films of the year. I'm glad it won an Oscar. This was a very different horror movie basically about racism. To me, it had a Twilight Zone element to it where it makes you really think. What did you think of the ending? Sappy Hollywood making the audience feel good? Agreed. It largely felt like a breath of fresh air and I think audiences recognized that. I didn't find the ending sappy at all. if anything, it's a lot like THE TEXAS CHAIN SAW MASSACRE (1974).